Montgomery County's at a strange crossroads now. As an older suburb, once-pristine neighborhoods are starting to look worn out and suffer from disinvestment. Meanwhile, other areas are turning into urban enclaves, but they don't provide all of the amenities that traditional city neighborhoods offer. The result? MoCo's fighting a battle on two fronts. An example: In the past year and a half, three of my friends from high school have gotten married. Both couples (two friends married each other) are a demographic any place would kill for: twentysomething, educated, high-earning couples, eager to find a place where they can put down roots, at least for a few years. Both couples like going out, seeing new places, and trying new things. And though we all grew up a few miles apart, both couples are moving out of Montgomery County, which no longer provides the lifestyle they want. One couple just married in March and are already expecting a child. She works in Baltimore; he works at Fort Meade. Currently, they're living with her parents in Calverton, but they're looking for a house in Howard County. Why? It's closer to their jobs, closer to shopping in Columbia, closer to Korean BBQ in Ellicott City. Is Howard County a better deal than Montgomery for those seeking the ultimate suburban experience? Housing isn't necessarily cheaper. After all, HoCo is the fifth-wealthiest county in the United States. But though the house in our old neighborhood might cost the same as similar house in Columbia, the schools are likely better, the massive Columbia Association's maintaining the common areas, and Route 32 won't get as congested as 29 or the Beltway (at least, not yet). In short, Howard County has out-suburb'd Montgomery. The other couple married last winter. He's a graduate student at the University of Maryland; she works for an IT company in Old Town Alexandria. For the past two years, they lived in an apartment in Hillandale. Neither of them are keen on driving, so living in the shadow of the Beltway made it hard to get around. Much as they enjoyed hanging out in downtown Silver Spring, they were attracted to the wider array of bars, restaurants and shops in Alexandria, not to mention the ability to travel exclusively by foot, bike and transit. Last month, they moved to an apartment in Carlyle, a new neighborhood being built around the Eisenhower Avenue Metro. They can literally see the trains from their window. A block away is a complex of shops, restaurants and a movie theatre. One stop on the Yellow Line takes them to a really good Thai place on King Street, and another stop to their favorite taqueria in Del Ray. Alexandria's Carlyle neighborhood provides a stronger urban experience than anywhere in Montgomery County currently offers. Photo by faceless b on Flickr. In this case, Alexandria has out-city'd Montgomery. You'd expect this, because Alexandria's been a center of commerce for over a quarter-century. But would you expect Montgomery to lose its much-treasured status as the "perfect suburbia" to Howard County? Montgomery's older suburban neighborhoods are losing out to newer communities on the fringe, which have more money to invest in schools and infrastructure and less to spend on maintenance and social issues. Meanwhile, urban centers like downtown Silver Spring and downtown Bethesda can't always compete with their counterparts in Arlington, Alexandria and the District, which offer more activity, more housing choices, and more transportation options. Montgomery County will compete with both of these places for residents, businesses and tax dollars, and it has to compete with both if it's going to survive. It's easy to demand the status quo. But let's look at where the next generation is going. Are we creating a place where young professionals and new families want to live? And can we actually offer a compelling alternative to new suburbs and old cities alike? If we can find the answer, I've still got plenty of single friends looking for a place to live. I think you're glancing by the biggest factor. The friends are in Howard county for commute times. If one worked in downtown D.C. & the other at Fort Meade, then Montgomery County would be seriously considered, but why would anyone want to comute from there to Baltimore, if they had other options? The other example works & lives in Virginia. Yes there are other nice places to live in our region, but there are still more than enough great things in Montgomery county to attract residents so a lot can come down to commuting times. Working to make sure residents of the county can get to as many workplaces at possible in a reasonable amount of time is also key to keeping the area attractive. This, obviously requires some good long-term planning and a mix of investments in all transportation modalities. There is another huge factor you've potentially missed, and that is the desire to try new places. You're referencing people who grew up in Montgomery County. While they probably love it, they want to try something new, something closer to their particular jobs, and maybe something a littler further from home. Schools clearly aren't measurably better between Montgomery, Howard, and even Arlington counties, as even the lowest-ranked schools in MoCo are still in the top 3 or 5% nationwide. For all the stories you have of yuppies moving out, there are even more stories of yuppies moving into MoCo. I know you probably can't remember downtowns Silver Spring and Bethesda a decade or 15 years ago in great detail, but you have to know there are more young professionals living in both than there were before. And not only that, but in my very own neighborhood the turn-over from older residents to newer yuppies with young children has been phenomenal. Your post brings up a good topic of discussion, but the problem may be misidentified. So I grew up in downtown Silver Spring 15 years ago and I remember what it was like and what Bethesda was like too, thanks. I may be young, but I wasn't born yesterday! Where people work is always a factor in where they live. But I think y'all would do well to note what other things (besides jobs) Alexandria or Howard or elsewhere bring to the table that Montgomery doesn't. There are lots of reasons for young professionals to move to Montgomery County, and many reasons to look elsewhere. Perhaps I should explore that topic further. So, as one of the couples mentioned in this article, I can correct a misconception. I work in Virginia... now. When we moved back to the area after college, I worked closer to Silver Spring. We found we liked Old Town and the urban environment it has to offer, so I looked for a job in Old Town, then once I was sure it was a stable job, we moved. And my husband is still in College Park most workdays, so it is a horribly long commute for him. We definitely moved because of the walk-ability of this community. We couldn't find anything that compared, in terms of ease of getting around vs number of things to get around TO, in MoCo. I find this really shocking that people are saying MoCo is stagnant or not revolutionizing itself fast enough. Look at the downtowns of Bethesda and Silver Spring, look at the ethnic and socioeconomic breakdown of the county, look at the plans for White Flint/NoBe and Wheaton, look at downtown Rockville, and on and on - this county is COMPLETELY different from when I moved here 20 years ago. I, like everyone else on this blog and any other "smart growth" blog, has a list of things I'd like to see implemented by MoCo, but to say MoCo is being slow or insufficient in its progression into the 21st century is really unfounded, in my opinion. You're totally right. Montgomery County is moving in the right direction, and I want it to keep building on the great foundation it's set in Bethesda and Silver Spring. But there are other issues at hand that I don't think the current approach is dealing with well. I definitely need to expand on this further, so look out for that in a new post. Dan, you took exception to the one part of my comments that didn't matter. I think you forgot we're basically the same age and that nobody our age can remember in great detail what the overall demographics were like even from a personal standpoint. Why? Easy. We don't pay attention to that kind of thing when we're little. Dave is right, you are using anecdotal evidence to try to make a point, which isn't very useful. And *you* are also right that the issue of what does and does not motivate young professionals to live in MoCo may deserve further analysis. But like I said before, the topic is good, but there doesn't seem to be a problem here. It's not that Montgomery County has to actively pursue one overall goal to continue to achieve vitality. By this I mean we should not have a County goal stating "we aim to become more urban". It's just the opposite, really. "We deserve to become more diverse." 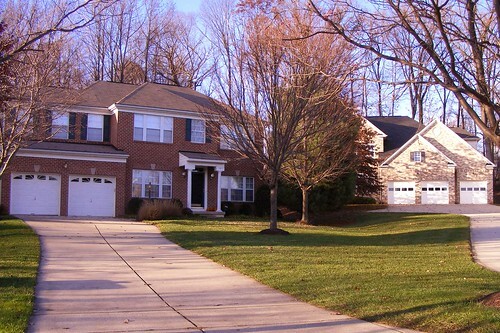 Montgomery County is a draw for a great many people of various ages, and they all take advantage of the diversity of neighborhoods to achieve different lifestyles. The key to continuing MoCo's growth and vitality is probably "concentration"--that is, concentration of urban areas, concentration of suburban areas, and preservation of rural areas. With our low height limits, Bethesda and Silver Spring (not to mention all of the other various urban areas in the county) have not even begun to tap into their true potential. And like you said, some of our aging suburban neighborhoods need a kick in the pants. My own neighborhood in Silver Spring is experiencing one right now. The WSSC has already renewed our understreet pipes, the county has already redone almost all of our sidewalks, curbs, and paving, and young families are moving in left and right renovating and enlarging (sometimes drastically) the older housing stock and taking advantage of the Metro-adjacent, close-in location. I think we're already on the right track and no drastic measures are needed to avert potential demographic disaster. The county can easily compete and win over any other jurisdiction in the area other than perhaps DC (on the "urban" front). "We deserve to become more diverse" should be "we aim to become more diverse". Oops! resident going on 6 years now. 49 years in MoCo, divided about equally between Garrett Park & Olney, were indeed very nice times. I really like the more rural feel of HC. The space between properties, the Cops who are friendly, the less congested shopping, great schools, to name a few things, all combine for a wonderful place to head into retirement, IMHO.